100 % Virgin quality with 100 pcs Exclusive packing. 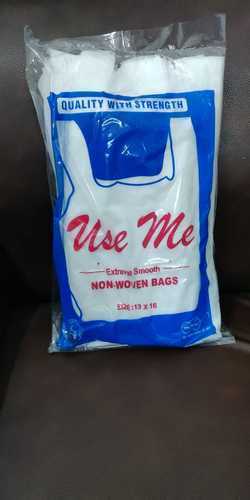 Established in the year 2010, Sunder Products Company, is one of the most trusted business organizations betrothed in Manufacturing and Exporting a trendy collection of D Cut Non Woven Bags, Loop Handle Non Woven Bags, U Cut Non Woven Bags. Provided bags are highly accredited in various shops and many more places and are appropriate for packaging purposes. These bags are developed from top quality material and modern machines as per the industry set norms. Our presented bags are much admired due to their fine finish, print ability, high strength. To achieve the complete satisfaction of the patron, we offer these bags in diverse colors, sizes, prints and other specifications to select from. We offer these bags in bulk quantity at most affordable rates.